The US Virgin Islands is a group of islands in the Caribbean, which are an insular area of the United States. Formerly they were called the Danish West Indies and were the part of the Kingdom of Denmark-Norway, but the islands were sold to the US in the Treaty of the Danish West Indies of 1916. Currently, they are classified by the UN as a Non-Self-Governing Territory and are officially an organised, unincorporated United States territory (population 104,737). In the US Virgin Islands gambling is legal, except sports betting. Land-based casinos and gambling establishments are controlled by the Virgin Islands Casino and Resort Control Act of 1995*. The act also sets the standards for issuing licenses to such facilities. Online gambling is also legal, however, official licensing of online gambling companies is yet to come. The US Virgin Islands was one of the first in the United States to introduce a bill legalizing online gambling in 2001, called the Virgin Islands Internet Gaming and Internet Gambling Act. However, the legislation laid dormant for more than a decade due to a 2004 letter written by then U.S. Attorney David Nissman to the Virgin Islands. The barriers to the legalization of online gambling in US states, and its unincorporated territories, were eventually lifted by the US Department of Justice. Although, the Wire Act of 1961 only prohibited “transmission of bets or wagers and gambling information in interstate and foreign commerce” specifically, for decades the DOJ interpreted it in such a way, that it applied to all forms of interstate and international online gambling activities. The DOJ decided to resolve this contradiction in a memorandum released two days before Christmas 2011, which presented a dramatic reversal of the DOJ’s previous interpretation of the Wire Act and it opened the door for state-level legalization of internet gambling by stating: “Interstate transmissions of wire communications that do not relate to a ‘sporting event or contest’ fall outside the reach of the Wire Act”. In 2013, the Casino Control Commission of the US Virgin Islands requested the opinion of US Attorney General Vincent Frazer on whether, in the light of the new interpretation, it was legal for the Virgin Islands to finally legalize internet gambling, based on the 2001 Internet Gaming and Internet Gambling Act. 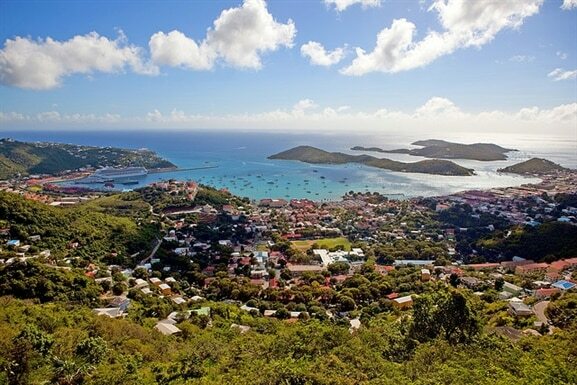 Land-based casino gambling is legal and regulated in the US Virgin Islands. Licenses are issued under the Virgin Islands Casino and Resort Control Act. The regulatory bodies trusted with the task of overseeing the sector and the issuing of licenses are the Casino Control Commission and the Division of Gaming Enforcement. There is only one major casino on the territory, but many hotels and resorts have dedicated spaces with slot machines and video poker machines. Online casino gambling regulation is enacted, but licenses are not being issued just yet. Players are not prosecuted for playing in offshore casinos and such websites are not blocked. There is no information online whether there are any brick-and-mortar bingo halls in the USVI. The islands’ only licensed major casino doesn’t organize bingo games. As soon as the legislative issues are resolved, and licenses begin to be issued in accordance with the Internet Gaming and Internet Gambling Act, it will most probably be legal to play in licensed, domestic online bingo halls. For now, residents of the US Virgin Islands can only play bingo online on foreign bingo websites. I can not personally recommend any. The bingo websites I usually recommend and know personally do not accept players from US states or territories. The only major licensed casino in the Virgin Islands, the Divi Carina Bay has poker tables where visitors can play Caribbean Stud, Mississippi Stud, 3-Card Poker and also, the classic Texas Hold ‘Em. Also, posts on Trip Advisor suggests*, that there are video poker machines too, at least on the island of St Thomas. Online poker sites, will receive licenses, once the issues around the master service providers are resolved. In the meantime people from the islands are free to play poker online on foreign sites. I can not personally recommend any. The poker websites I personally use do not accept players from US states or territories. All forms of wagering on the outcome of sporting events (except greyhound and horse race betting) are illegal on a federal level in all of the US states and territories. The Internet Gaming Act of the Virgin Islands doesn’t mention sports betting for this reason, but it’s being discussed recently, whether or not the country should legalise pari-mutuel betting on its horse tracks on St Tomas and St Croix. That being said, players, who place bets on foreign sports betting sites are not prosecuted. There is a lottery organized by the state in the US Virgin Islands. Although, they don’t offer their services online, there are several video lottery machines (VLT) around the country. The Internet Gaming Act includes online lottery operators as well, so private investors can also apply, but licenses are yet to be issued. In the meantime there are some foreign online lotteries that let residents of the Virgin Islands purchase lottery tickets online. The US Virgin Islands recognizes Bitcoin as a legitimate currency. So when licenses start to get issued, Bitcoin casinos can apply too. In the meantime offshore Bitcoin casinos are available to players from the islands. 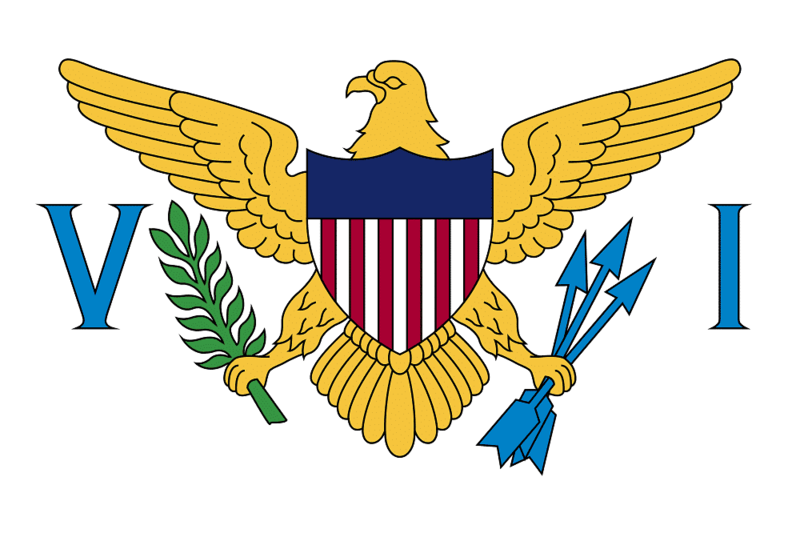 An overview of the legal status of gambling in the Caribbean US territory, the Virgin Islands.